SEEING as we’re all skint, and booking an overseas family holiday seems a thing of the past, we’ve started planning this year’s Festi-Hol. Blessed with an oversized family and an ageing Bongo campervan, our trips away in recent years have included one of my big dislikes – camping. However, throw me at a festival and somehow the discomfort and hassle seems to lessen. Slightly. Add a few bottles of cider and some brilliant live bands at sundown and I’m yours for the duration. I’ll even bring my own supernoodles. 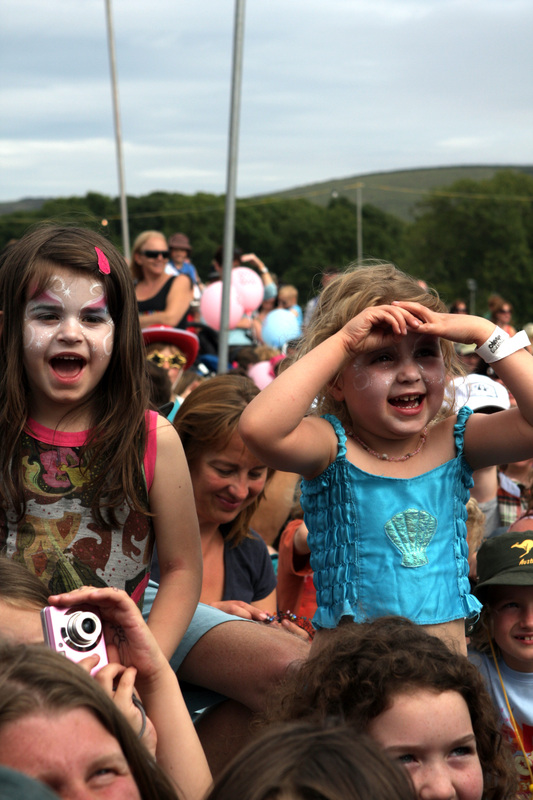 The mother of all family festivals is Camp Bestival in Dorset, which drew us in a couple of years back with promises of Mr Tumble, Zane Lowe and Florence and the Machine. Combining the weekend with a few days exploring beautiful Dorset from a windy campsite, we felt we’d killed two birds with one stone. The kids slept in a tent, played on beaches and ran around at a festival being either cool and detached, arty and dancy, or just watching mesmerised from the comfort of a pram (depending on their age). This year we’re tempted back to Camp Bestival as they appear to have booked headline acts specifically with us in mind: Blondie, Primal Scream, Mark Ronson, Wrench 32, Katy B, the Gruffalo and Mr Tumble. Add in the skatepark, comedy tent, zoo in the woods and fellow families-in-the-same-boat, and it’s already sounding better than a week in Majorca. If you’re nervous of festi-holling with kids, then do your research. We used to do the festival circuit regularly pre-parenthood, and some we’d avoid. While Glastonbury does cater well for families, it is dauntingly huge. V, Reading and Leeds are not really aimed at a junior audience, and you tend to see more than you bargain for at the more rock or dance music festivals. Some of the family festivals offer payment plans, but charge extra for boutique camping, parking and camper passes. If you don’t have a campervan, the festival experience isn’t too hideous. You can park up and transfer all heavy tent stuff to a pull-trolley (most festivals will hire you one), and the toilet facilities are much, much better than they used to be. As long as you’re prepared to carry a few packets of tissues and wash with wet-wipes for a couple of days, sleep badly, eat far too many chips, and bribe your children with over-priced ice-creams, it’s a great experience. There’s so much to see, as well as people-watching the wild dressing-up outfits and the Boden-clad Yummy Mummies who get their nannies to watch the kids while they pretend to like poetry. Finish your weekend with a visit to Monkey World or the Tank Museum, and a festi-hol can tick more boxes than your average family trip ever could. Larmer Tree, July 13 – 17, near Salisbury. 5 days £197 adult, £158 aged 11-17, £127 5-10, day tickets available. Line-up Joolz Holland, Imelda May, Seasick Steve, Asian Dub Foundation. Shambala, Aug 25-28, Kelmarsh, Northants, £119, 15-17 years £79, 5-14 years £29, under 5s free, no names, no advertising, no sponsors, good fun. That sounds awesome. My husband and I have not been to any festivals since we had kids. I need to look around and see what family-friendly festivals are coming to our part of the US.